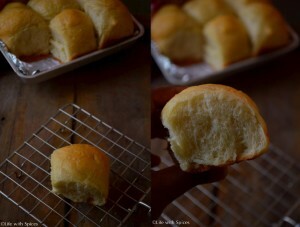 Eggless ladi pav buns are easy to make at home. These gorgeous pav buns can simply be eaten with tea with generous spread of butter or made into pav bhaji, anda bhurji pav, vada pav, misal pav, pav sandwich and much more.. This is a sure no fail recipe which can be tried by any beginner. 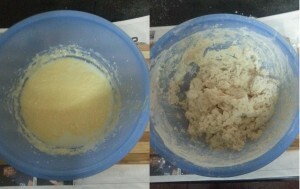 In a deep bowl add warm milk, warm water, sugar, salt, butter and whisk well. Add 3 cups flour, instant yeast mix well at this point do not add any extra flour. 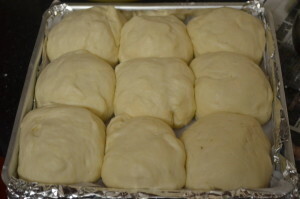 The dough will be pasty transfer to a cleaned surface sprinkle bit of flour for kneading. 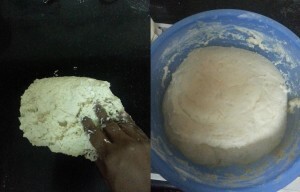 Knead the dough to a soft consistency this will take exactly 15 minutes, only this step will make a soft pav and for the yeast to work well, just dust very little flour do not add more flour it will make harder pav buns. Post an hour remove the bowl punch the dough so that air pockets escape, roll the dough make into small ball shaped not necessarily perfect balls, line them on a greased in which it is to be baked. Enough gaps to be given for the second raise of the dough. Again keep the tray in a warm place for second raise for one hour. 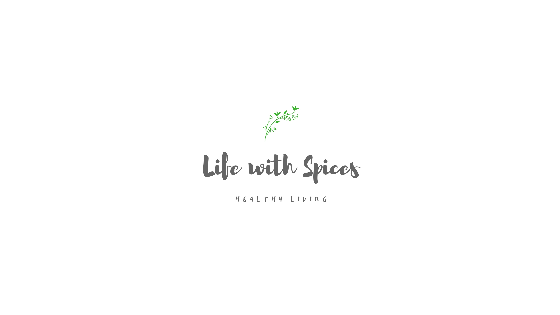 Post an hour brush the buns with butter, bake them in a preheated oven for 15 minutes in medium heat 200C, later bake at 220C for 10 minutes or straight bake at 200C for 20 - 30 mins or until golden brown on top. Allow the buns to cool and enjoy these Eggless ladi pav buns with a cup of tea and butter. Notes: For golden color on buns egg wash is recommended or brush with butter. These pav buns stores well for 3 days.